Oodles Blockchain feels proud to announce that it now leverages Stellar to develop Stellar based real-world blockchain solutions! Similar to Fintech, many industries face serious challenges around security, privacy, performance, and scalability. As we’ve been continuously exploring effective blockchain solutions to real-world problems, it’s necessary to work with the right partner that can help us realize our vision. Stellar Blockchain is the platform in particular that caught our eyes. As a leading cryptocurrency and blockchain development company, Oodles Blockchain is working on to create transforming blockchain based solutions that can change everything of value as we know it. So, without further ado, let’s look at the most prominent reasons to develop Stellar based real-world blockchain solutions. The Stellar Consensus Protocol (SCP) exactly coordinates with real-life business arrangements. Based on the architecture of the internet, the SCP employs a Federated Byzantine Agreement (FBA) model to reach the decentralized consensus. Thus, eliminating any gatekeeper and central authority. Anyone with an internet connection can join the Stellar universe. In this universe, similar to the real world, participants get the ability to choose who they want to trust to share the information. For validating a transaction, participants in it do not require the complete network to agree. It’s only the other members that it cares about. Each participant, and the ones it trusts forms up what’s exclaimed as ‘Quorum Slice.’ Participants can join multiple slices. And, if the slices are overlapping, it refers to as ‘Quorum Intersections.’ These intersections are the reason it has become possible to create a stable and secure system-wide consensus. Instead of utilizing a long, hard-to-remember alphanumeric string as your address, Stellar allows using an email address or other short aliases depending on your use case. Imagine the time when mail providers will come integrated with Stellar. Then, they’ll be able to automatically connect a wallet address to each user’s email ID. Envision the straightforwardness and inexpensiveness of sending money across the world to anyone using their email address! For large, as well as small, enterprise businesses, it is a must to secure transactions through necessary precautions. Stellar prevents bad actors from reaching the attack-surface by not using a Turing-complete system. Stellar offers improved functionality. It saves from threats due to its design and provides an efficient payment system and means of exchange. Stellar is an excellent blockchain project that addresses major challenges to fundraising, such as access to liquidity and capital. Stellar’s system comes equipped with a built-in decentralized exchange. It means you can enable the trading of tokens moment they are created. It’s expected that Stellar’s decentralized exchange would provide an all-inclusive equitable ecosystem. Stellar’s boasts an amazing documentation and community support. The docs are precise, informative, and easy to understand. Stellar’s Slack channels are home to some of the Stellar developers and other members of the community. They are often found holding lively discussions and are always ready to lend a helping hand. Consequently, it makes troubleshooting a breeze. And, significantly, demonstrates why some of the reputed and largest banks and financial institutions globally are moving toward adopting Stellar based real-world blockchain solutions. Stellar is a combination of cost-effectiveness, high speed and focus continual developments. However, it takes some transactional charge to prevent denial of service attacks. During the tests with Barclays, Deloitte, and IBM, it has been proven that Stellar can safely accomplish up to 1,000 TPS, while the confirmation averages 3–5 seconds. Stellar proves that it can do everything that a modern blockchain does, by providing a robust, secure, and functional distributed ledger. Stellar aims to propel global financial access with cutting-edge innovation. 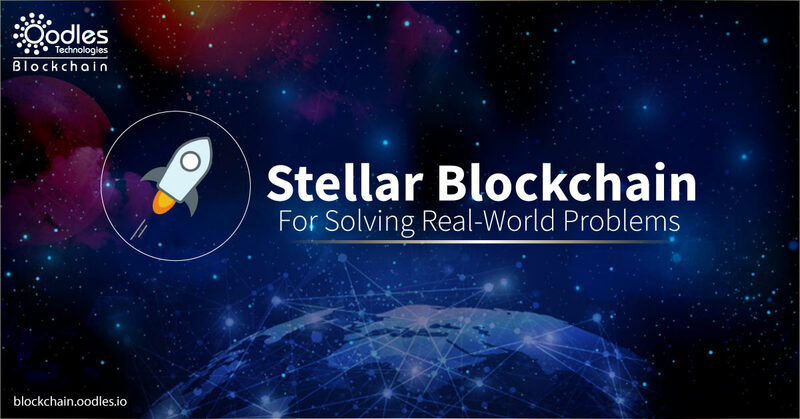 While other blockchain platforms may be far from addressing today’s problems, Stellar based real-world blockchain solutions shine.